The fairies had it planned down to the last detail, and the last detail walked into Carson’s five and dime at 4:32 that afternoon. 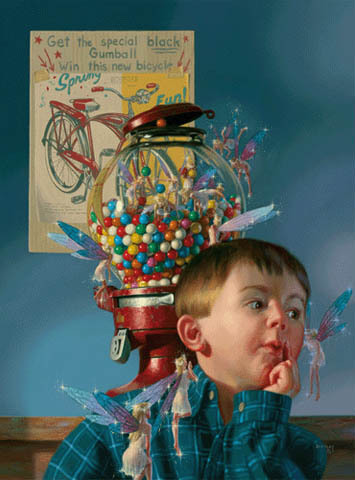 The fairies laid out their plan to Albert Sullivan and at 4:36 pm he agreed to be the one who would turn in the lucky gumball; the gumball that would win the fabulous prize. For his part in the “gumball deal” the fairies promised Albert that he could use the bicycle every other Tuesday afternoon.